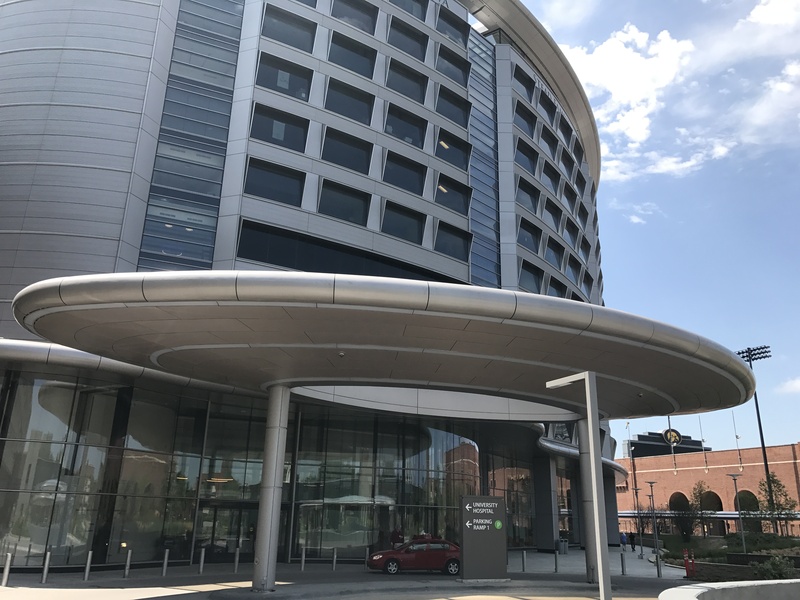 During the past four years Metal Design Systems, Inc. had the privilege of working on the nationally renowned University of Iowa Children’s Hospital. This hospital is, and will continue to be a very important facility for the community, Iowa, and medical community at large. 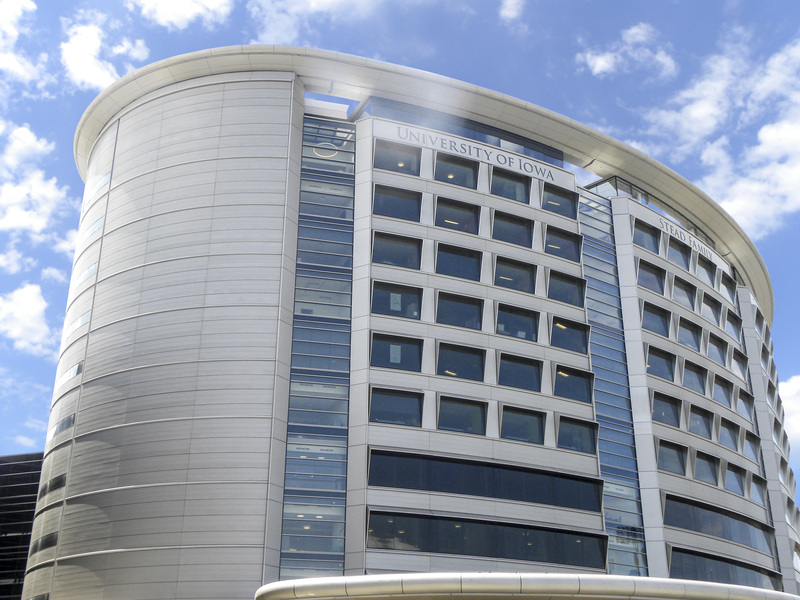 Over the course of the four and a half year construction at UICH, MDSI broke the project up into five “smaller” architectural projects. This approach allowed for streamlined scheduling and communication throughout the build. 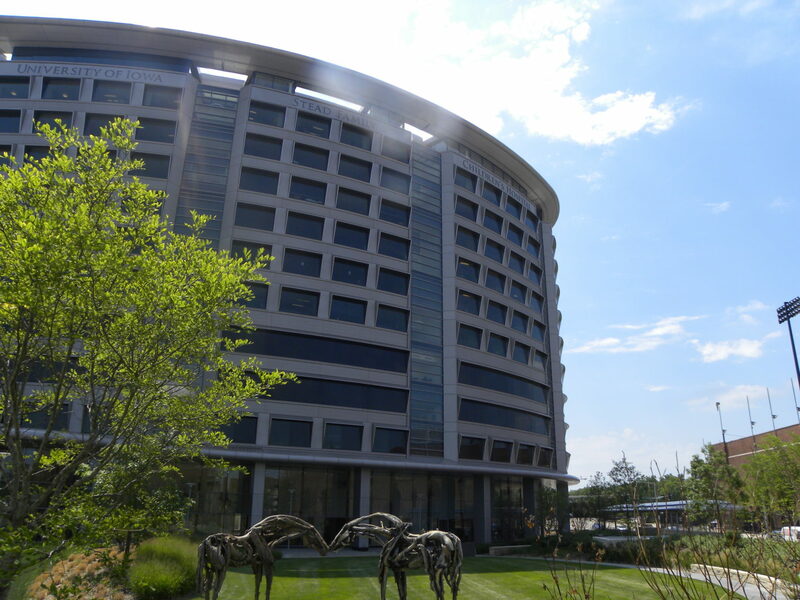 This project was quite large, with over 2,600 panels and 62,000 square feet of material. There were many areas of the project where a custom unitized assembly was the only available approach. MDSI was able to meet those needs. These custom areas included a special attachment system for soffit areas and vertical slots that extended up the full height of the hospital. Series 20 and Series 44 panels can also be found on this project. The elliptical shape of the building created very complex panels and attachment methods. 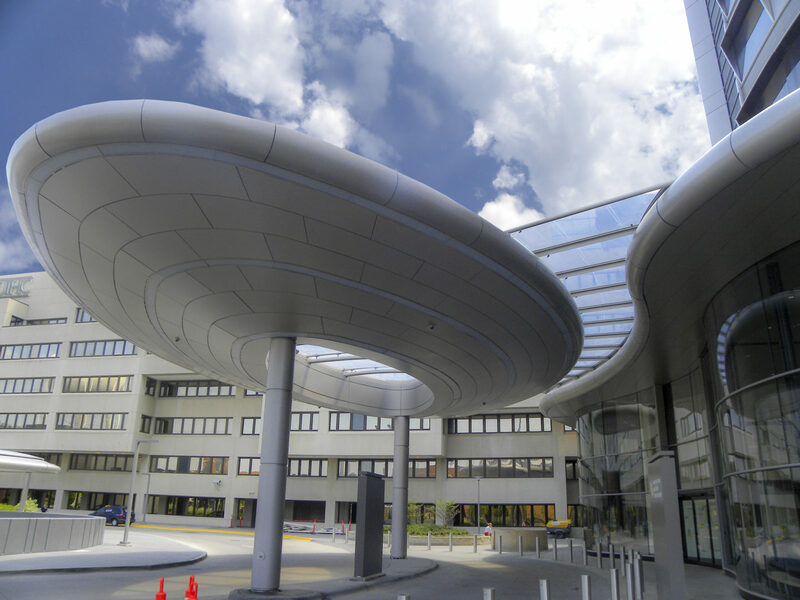 This was especially true on the sloped soffit area of the 12th floor and the compound curves of the drop off canopy. 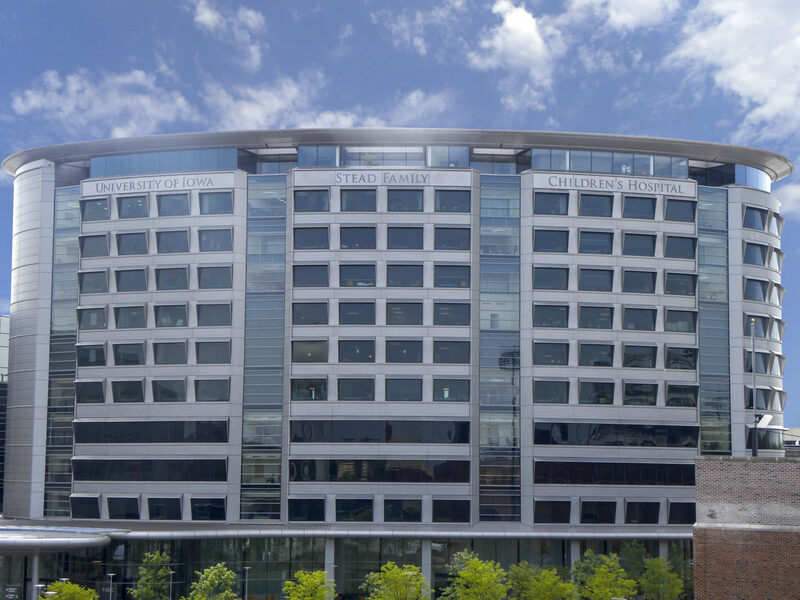 Metal Design Systems, Inc. worked with Heery Design on the development and execution of the project. Click here to learn about the project from their perspective. Two different Alucoil products wereused including their ACM Larson, and their honeycomb Larcore. Visit this page to learn more about the hospital, see construction pictures, and renderings of the project. 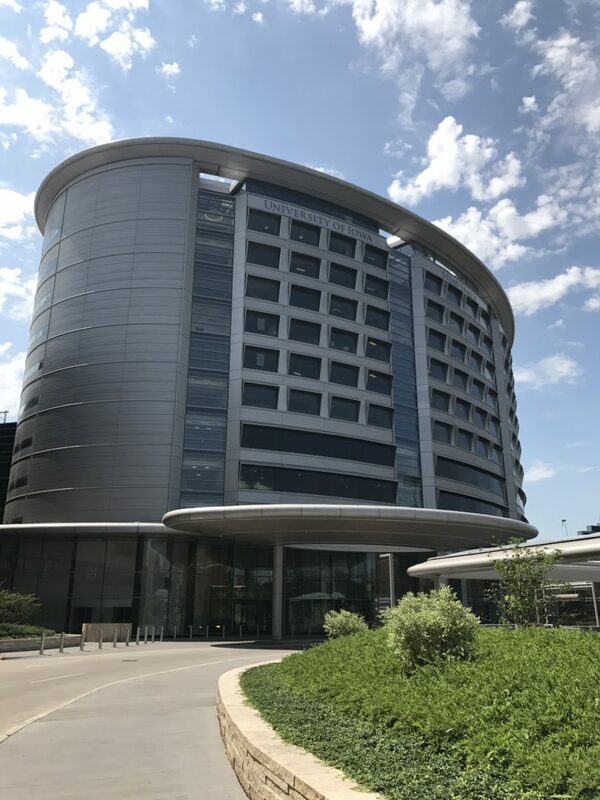 Many families and individuals have already been touched in a very profound way by the University of Iowa Children’s Hospital and MDSI was honored to be part of the construction of this building.